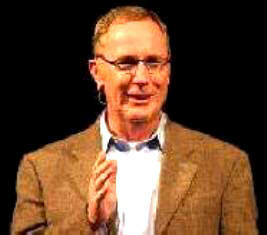 NASHVILLE, Tenn. (ANS) — Texas-born author and pastor, Max Lucado, is a man who loves words – both spoken and written. He loves to craft sentences that are memorable, inspiring and hopefully life-changing. In almost 25 years of writing, more than 100 million products-80 million books-filled with his words have been sold. The product line for 3:16-The Numbers of Hope sold more than four million units worldwide, including one million units of the cornerstone trade book of the same title (released in September 2007), making it the fastest selling Lucado product in his career. His Outlive Your Life: You Were Made to Make a Difference (September 2010) hit both the Publishers Weekly and New York Times bestseller lists and has been featured on “Fox & Friends” and “CNN American Morning.” He has participated on the “Good Morning America” Christmas Day panel in 2009 and 2010. Max is also a Minister of Preaching at Oak Hills Church in San Antonio, where he has served since 1988. He has been married to Denalyn Preston Lucado since 1981, and they have three grown daughters-Jenna, Andrea and Sara-and one son-in-law, Brett. I caught up with this delightful man at the NRB 2012 Convention in Nashville, Tenn., where he shared about his life as a pastor, a missionary in Brazil and also as a best-selling author. He began by talking about his latest book, Great Day Every Day (Thomas Nelson), saying, “You know I’m a pastor of a church I’ve been at the same church since 1988. It’s called Oak Hills Church in San Antonio, Texas, and one of the things that I’ve noticed is that this basic fundamental challenge that people that people have trying to have a good day. You know it’s not easy, and I remember several years ago running into some of our members in a grocery store and saying, ‘How is your day going?’ and they gave me kind of a ho-hum answer. How does he describe his writing style?